Råttkung is a one man black metal band from Denmark, and this is this latest EP. 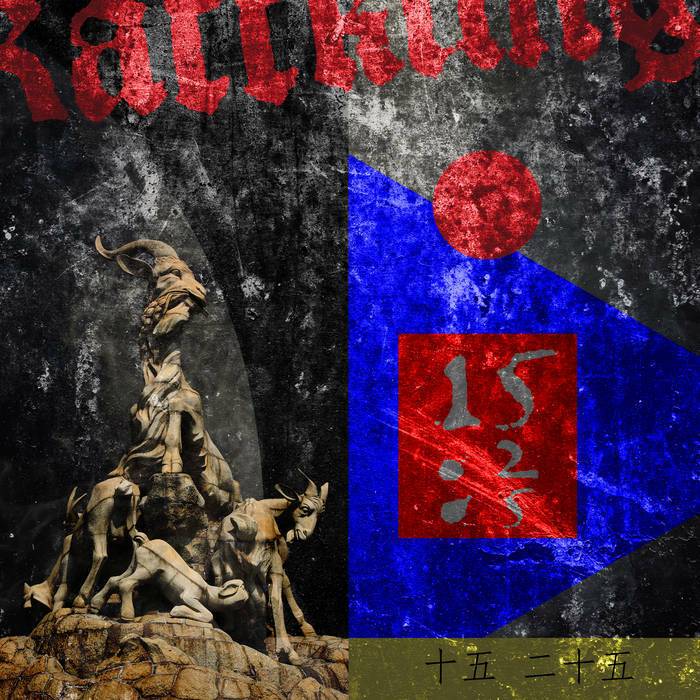 If you’re unfamiliar with Råttkung’s output, I would point you in the direction of Dark Is the Beginning, Unborn Undead, and Metamorphosis, all of which showcase the project’s musical proclivities and progression well. 15:25 is a release of a different nature. Apparently consisting of tracks that were recorded a decade or so ago, they have finally been unleashed on the world in 2018 now that the time is seemingly right. The material on this EP is a bit different to the act’s earlier released work and experiments with different styles and sounds as it runs through the 15-minute playing time. The raw, underground black metal is still here, of course, sometimes savagely so, but you can also hear addition elements spread out across the songs that the artist behind Råttkung would either later incorporate into his work more fully, or otherwise has not chosen to revisit at all. Yet? Yes, on 15:25 we get elements of noise, industrial, ambient, shoegaze, post-metal, and atmospheric black metal, all condensed down into short tracks. The music here has the feeling of something experimental and tentative, but to be honest that only really adds to the appeal for me. In some ways this EP shows the real potential that Råttkung has even more so than 2017’s Metamorphosis, and if these elements can be even further incorporated into future musical endeavours, the follow up to Metamorphosis will be even better than that album was. A very interesting insight into the early days of Råttkung. I very much enjoyed this, and highly recommend you check it out. This entry was posted in Black metal and tagged Ambient, Atmospheric Black Metal, Black metal, Industrial, Metal, Noise, Post-Metal, Råttkung, Shoegaze. Bookmark the permalink.